The Apple Watch came out last week, although there was a distinct lack of queues and over-excited Apple fanatics outside Apple stores. After mixed reviews criticising its battery life and lack of purpose, will the Apple Watch be Apple’s first big failure? We think not. Here are 10 reasons you should buy an Apple Watch. The Apple Watch isn’t a standalone product, it’s an extension of your iPhone. It receives notifications, sends messages and generally does the important stuff your phone does without having to fumble around in your pocket. While that doesn’t sound essential at the moment, you can bet that Apple will further integrate the two devices over the next couple of years. Remember discovering all the cool stuff your iPhone could do for the first time? Apple users haven’t been able to experience that feeling for a long time. Alright, so there’s a new iPhone and iPad every couple of years but they aren’t that different from what came before. The Watch, however, is a completely new experience, and potentially a life-changing one. The big question is are you willing to spend £300 to find out? Like most smartwatches, the Apple Watch features an array of health-focused features. These include a heart-rate monitor, a stepometer and more fitness apps than you can shake a stick at. The most important health-related feature, though, is the Watch’s ability to remind you to stay active. For example, it can send through a vibration reminding to get up and stretch your legs every 10 minutes. We love smartphones. They’ve changed the way we live, making our day-to-day lives much easier than they were even 10 years ago. But today’s phones offer so much that it’s easy to get distracted. Sending a text can lead to an hour spent on Facebook. Making a call can lead to watching videos for half a day. Getting your notifications sent through to a relatively limited watch removes these temptations, allowing you to be more ‘present’. Plus you’re less likely to walk into someone while you’re gawping into your phone! If there’s one thing you can rely on Apple for, it’s great design. The Watch, even the basic Sport version, is a fantastic looking gadget and more eye-pleasing than the majority of smartwatches on the market. There’s loads of customisation options to choose from too. If you’ve got a bit more cash to spare (£13,000, for example. ), you can even customise it to look a bit like a Rolex. You’ll need to sell a lot of electronics first, though. It’s easy to forget that the iPhone and iPad were both fairly rubbish when they came out. The original iPhone didn’t have 3G or an App store (remember, it only came out 8 years ago!). The iPad, meanwhile, had no camera or multitasking function. The point is that, for all its flaws, the Apple Watch will get better and you might not have to wait for the next version, either. Apple are constantly updating their OS, which means a lot of flaws could be fixed in the current model’s lifespan. Alright, so it’s no reason to spend £300 but the Watch is undoubtedly a talking point, which is handy if you struggle with conversation. The ‘talking point’ might be how much money you have to burn, but it’s a talking point nonetheless! For a brief period after it was discontinued, the iPod Classic was selling for around £600. In 10 years time, the 1st iPhone will probably be worth over £100. Think of the Watch as an investment. Although the battery may eventually die, collectors will snap it up regardless. Even though the Watch came out on Friday, you can’t buy one right now as it sold out during pre-orders. There’s only one UK store selling Watches, Dover St. Market in Mayfair, although they’ve probably run out of the few they had in stock. 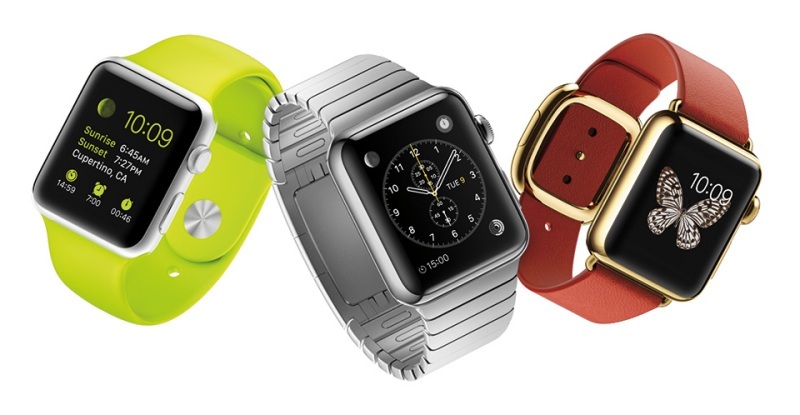 Apple reckon they’ll have more Watches in June, giving you the best part of a month to save up. Sell some electronics to help you hit your target! As most people are struggling to find a reason to buy a Watch for themselves, why not buy one as a particularly generous gift for the Apple lover in your life? You’re almost guaranteed to be in their good graces forever. If you’re planning to buy an Apple Watch, why not sell mobile phones to help pay for it? Just click below to get started. iPhone 8 news: all the latest on the iPhone 8 design, release date and features!